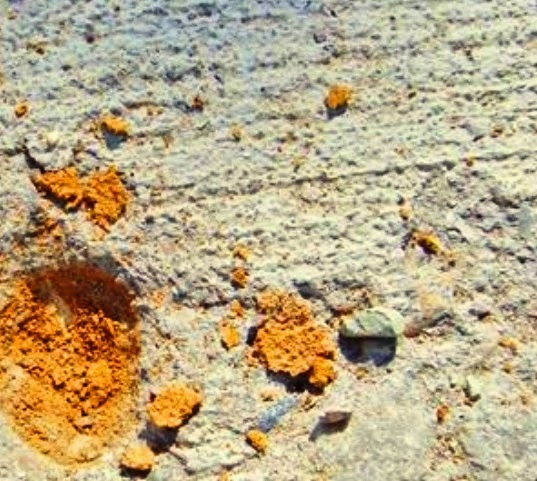 A region can be said to be under negligible weathering, where concrete hardly exposed to detrimental effect of freezing under presence of moisture. Here we will include limits of deleterious substances and also expected physical properties of aggregate to be used in such weathering regions. Dear reader we have already discussed about deleterious substances that are found in aggregates. Aggregates are classified as 1N and 2N. ‘N’ stands for negligible weather condition, we can easily gaze this. 2N-includes all other concrete; types or location other than for 1N. In case of abrasion requirements, crushed and air-cooled BFS (Blast furnace slag) is not included. The rodded bulk density or unit weight of this material should not be less than 70 lb/ft3. While determining bulk density the grading of it should identical to grading of aggregates to be used in concrete. 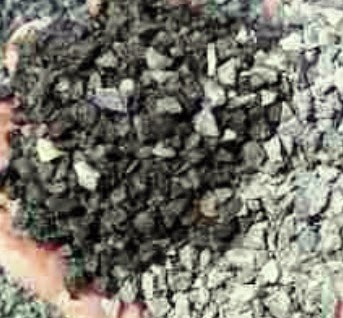 In case of determining abrasion loss of crushed stone, crushed gravel or gravel, the grading of sample aggregates and also sizes of sample aggregates should be similar to or nearly similar to corresponding aggregates to be used in concrete. 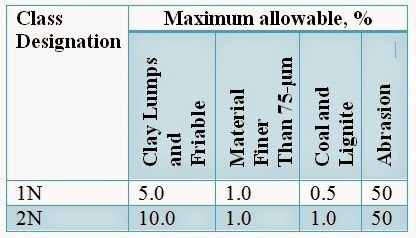 When aggregates are composed of different grading, the abrasion limit provided should be applied to each.